Welcome to Day 3 of the Kidlit411 Birthday Bash Giveaway! This week's giveaways have followed the path of a creator's journey. First, you read a lot of great books (Jan. 11: All About Books). Then, you learn all you can about craft (yesterday: All About Craft). Today's prizes are the next step--ALL ABOUT CRITIQUES: getting impartial feedback of your work. You may enter into any and all of the giveaways. All giveaways end at noon, EST, Jan. 21, 2016. Mark Mitchell, illustrator and founder of the online course, Make Your Splashes, Make Your Marks Children's Illustration Course (check out a review of it on Sylvia Liu's blog) runs a monthly critique webinar with guest experts to help critique your illustrations. It's always great to get an outside, expert opinion on your work, and listening to others get critiqued is a valuable learning experience. TWO winners will be picked to participate in the next monthly critique session. PRIZE 3: A FULL Picture Book Critique by Author Jen Swanson! Win a critique by the amazing author of BRAIN GAMES, Jennifer Swanson. Jennifer is an award winning author of over 20 nonfiction and fiction books for children. Her books in the HOW THINGS WORK series by The Child’s World were named to the 2012 Booklist’s Top 10 Books for Youth: Series Nonfiction. She has received awards from the Pennsylvania TriState Young Adult Review Committee, The Moms Choice Awards, and The Dove Foundation. Top reviews include a starred review in Booklist, and recommended reviews from School Librarians Workshop, Library Media Connection, and the National Science Teacher Association. Jennifer Swanson offers a range of critique services for fiction and non-fiction picture books, as well as work-for-hire submission packages. PRIZE 4: A FULL Picture Book Critique by Danielle Davis! Danielle Davis is an agented writer with a children's book blog called This Picture Book Life and a master's degree in literature and creative writing. She offers critique services for picture books, middle grade, and YA. Danielle helps writers make their work the best it can be while staying true to their own voice and vision. She will offer comprehensive notes in your manuscript, in-depth feedback, and comparative titles. Check out her critique services here. Win a 30 minute critique/consultation. Cynthea Liu is the author of two picture books, BIKE ON, BEAR! (Simon & Schuster, 2015) and WOOBY AND PEEP (Sterling, 2013, a Barnes & Noble summer selection); a middle grade novel, PARIS PAN TAKES THE DARE (Putnam 2009); and a YA novel, THE GREAT CALL OF CHINA (Penguin 2009), part of Speak’s bestselling S.A.S.S. series. Based in Chicago, Cynthea has spoken to schools in Illinois and across the country and at national teacher and librarian conferences. She is a writing coach and faculty member for conferences associated with the Society of Children’s Book Writers and Illustrators and local universities and colleges. Cynthea is represented by the Andrea Brown Literary Agency. Cynthea provides a range of critique services but due to her schedule, she currently only provides 30 minute picture book consultations. She is also the author of WRITING FOR CHILDREN AND TEENS: A CRASH COURSE. Alayne Kay Christian - author of award-winning independently published picture book, BUTTERFLY KISSES FOR GRANDMA AND GRANDPA (Blue Whale Press), founder of Sub Six, a writer's support group for submissions, and creator of the online course, Art of the Arc: How to Analyze Your Picture Book Manuscript (available in yesterday's giveaway). Elaine Kiely Kearns - children's author, elementary school teacher and founder of KidLit411. She is represented by Linda Epstein of the Jennifer DiChiara Agency. Renee LaTulippe - kid lit poet with a published collection of poetry and poems in a number of anthologies; co-author of nine award-winning early readers; founder of The Lyrical Language Lab, which teaches kidlit writers to punch up their prose (available in yesterday's giveaway), and children's poetry blogger at No Water River. Sylvia Liu - children's author and illustrator whose debut picture book, A MORNING WITH GRANDPA, illustrated by Christina Forshay (Lee & Low Books) is coming out in May 2016. The other half of the Kidlit411 team. Yvonne Mes - children's author and illustrator whose picture books, MEET SIDNEY NOLAN, illustrated by Sandra Enterovic (Random House Australia) and OLIVER'S GRUMBLES, illustrated by Giuseppe Poli (Dragon Tales Publishing) were published in late 2015. Teresa Robeson - children's and adult author who has been published in Babybug, Ladybug, the SCBWI Bulletin, and other magazines; contributor to several science fiction anthologies. Victoria Warneck - children's writer who has held editorial positions at McGraw-Hill, The MIT Press, Addison-Wesley, and Pearson Education. Stephanie Olivieri is a professional illustrator and writer who specializes in the children's market. 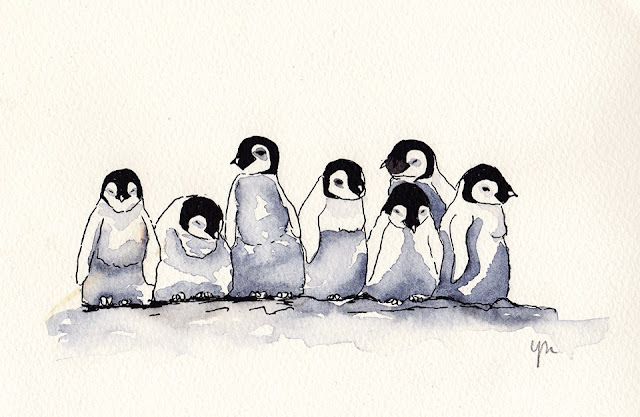 She has illustrated over 20 children's books, both educational and fiction. Before getting into kidlit Stephanie worked in traditional animation for Disney, Warner Bros. and other big studios. Currently she works from home as an illustrator. Visit her website at www.stepholivieri.com. Stephanie is working on a course and book called I LOVE MONDAYS for artists and writers who want to reach their dreams and goals by working and earning a living as an artist. She will provide a 30-minute consultation on this topic. She is putting together a workshop FROM PENCIL TO PIXEL, to help people through the frustrations both mentally and financially of transitioning from traditional media to digital. She will provide a 30-minute consultation on this topic. BONUS WRITING COURSE PRIZE: An ALL ACCESS PASS for 2016 to Joyce Sweeney's 3 Writing Classes, 3 Webinars, and All the Videos (over $1,000 value)! Joyce Sweeney is the author of fourteen books and the writing coach for more than fifty traditionally published authors. She has won numerous awards including the Delacorte Press First Young-Adult Novel prize for Center Line and the Nevada Young Reader’s Award for Shadow. Joyce has been critiquing manuscripts for twenty-five years, has been an active member of SCBWI, and teaches workshops on craft. Joyce offers her writing expertise through video taped classes and webinars via www.SweeneyWritingCoach.com. The winner of an ALL ACCESS PASS will receive enrollment in 3 ten-week classes. Each class has an interactive forum for homework and follow-up. Fiction Writing Essentials. This is the perfect class for everyone, since we “don’t know what we don’t know.” You’ll learn everything from pre-book decisions to marketing. Advanced Fiction Writing. You’ll delve deeper into the superstructure of your work, bringing your level of writing up better than you could have imagined. Revision. This is our new class this year which will complement and refine the work you completed in the first two classes. In addition, you’ll receive three live webinars (and their replays). First up is Flashbacks, scheduled for February 2. All her other webinar recording: Marketing, Dialogue, Endings, and Emotion. You must provide your email to qualify for this giveaway (and we will provide your email to Sweeney Writing Coach). Everyone who enters will receive access to Joyce’s Plot Clock Webinar. Wonderful, wonderful prizes! Love this blog and the information you provide the children's writing community. You help so many writers in so many ways. Today's gifts, once again, show just how generous you are. Thanks!! 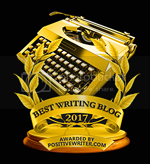 Again, another treasure trove of helpful prizes for your fellow writers! Thank you so much. The generosity of this community is amazing. Each Day's Surprise just keeps getting better and better! Having a blast celebrating with you all! Thanks for the party invitation! Such great critique contributions by some very generous people. Happy 2nd birthday KidLit411. Wow, again! Wonderful critique prizes. A good critique is so incredibly valuable... thanks, guys! I am so excited about these prizes! This is such an amazing and supportive community! Thank you to the wonderful contributors and donors who are fueling this KidLit411 celebration with writer's rocket fuel! It's like Christmas all over again with these generous prizes. Thank you so much to all of the contributors. KidLit 411 certainly shares their success and excitement! Happy Anniversary...Happy Birthday...Congratulations...to the KidLit Team! Yay, more critiques for Illustrators! thanks so much for sharing all this with us. You guys are awesome. Wow. Impressive again. More amazing prizes! This is the most incredible and generous birthday party ever! Happy Birthday Kidlit! Thank you for the thoughtful prizes! Oh my! This has become my first internet stop of the day. What fun! Another awesome day of prizes! Critiques are always the best :) Thanks! Whoa, you Penguin Posse and KIDLIT founders and generous critique peeps, these are awesome gifts. I want them all. Thanks for sharing the celebration with us! Once again you've outdone yourself! Fantastic prizes! These are great prizes for anyone trying to improve their craft! Another day of amazing prizes! Thank you so much for offering this fun and valuable contest! Happy Birthday and thank you so much for all of these opportunities! Amazing prices! This is terrific. Happy Birthday and thanks for organizing and hosting great giveaways!! Wow, it feels like a birthday for all of us! The Birthday Party continues...and it's fabulous! Thanks! These prizes are blowing my mind! Wow! Thank you 411 for the chance at these! Wow! What an amazing giveaway package! Thanks kidlit411! Thank you for always helping writers and illustrators reach for a new level in their craft. Thank you for offering such incredible prizes! There are going to be lots of lucky winners! More great prizes! Thank you for this great contest! Thank you kidlit community for giving so much of your time to writers and illustrators. Wow, it's fantastic to see so many creatives giving back in this way. Thank you! Overwhelming! Thanks to the enormous generosity of those providing the prizes. More great prizes! Thanks for throwing such a bountiful birthday bash! HBD, KIDLIT411! Thank you for your generosity on your birthday. And thank you for the wonderful research and information you've provided me on kidlit. I look forward to every Friday email! I wasn't aware of the different varieties of critique services available. This is a good starting point. Thanks! Thanks! This is ttally awesome. This is so generous. Wow! You are really going all out with your birthday celebration! Annother amazing day! Thanks for all you do, KidLit411! What amazing offerings! This is quite a celebration. Thank you! Thank you for another day of outstanding prizes! Again! Soooo generous! Thanks to all the prize donors and thanks to you for putting this all together! I can't decide if I'm just dreaming or Christmas never ended! What fabulous opportunities to develop our craft and become stronger storytellers! Thank you KIDLIT 411 and all the donors for this fabulous birthday giveaway-YOU ROCK!! This is fantastic! Way to go, KidLit 411! These are all great prizes- There will be many happy writers and illustrators out there after the drawings. Thanks so much and Happy Birthday. I absolutely love all these prizes so far! Just what writers need! I'll chime in with everyone. This is an awesome birthday week for all of us! What wonderful opportunities for feedback. So generous! Thank you, KidLit 411! The birthday celebration continues. 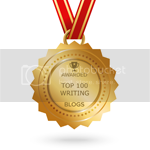 How wonderful for us to have this opportunity to win great gifts that will help us as writers! Day 3 and it gets better and better. You know how to throw a party!! What wonderful opportunities for writers and illustrators. Thank you! More awesome prizes! Thank you! This is my kind of party! Such generous gifts and wonderful opportunities!! Thanks to everyone for these wonderful opportunities! Wow! Such amazing prizes! Thank you for your generosity! I said it yesterday and I'll say it again today: the number and quality of your giveaways are absolutely amazing. Thanks for your generosity! Lovely gifts! You gals rock! As I peruse this page, there is a sense we are all in this together. Every book matters. There is no competition. Thank you! I wish I could win them all. Thanks again to your dedication to educating us all! A-MA-ZING! !What fabulous giveaways! You are awesome - and so are all the folks giving this stuff away! Kidlit411 is amazing. And this birthday celebration is equally amazing! Thank you! Thank you! Thank you! Another big happy birthday to Kidlit411! What an amazing assortment of gifts, so so special. Wow, so exciting! I'm incredibly impressed by the generosity shown in this community- thanks for all you do! I'm so happy I found KidLit411! The opportunity to win these wonderful prizes that have been so generously provided is a bonus. Thank you! I know I only had to share it once to be eligible for all the contests I entered, but why wouldn't I share it everywhere I can think of? :) Don't worry, I try not to be annoying and spammy. If I saw it, I didn't duplicate in that group or social media. The wonderful opportunities for learning keep on coming. Wow, such great prizes to the guests of your party. I agree that you have extended Christmas and that you will leave a few of us with quite a hang over when it's over. Another great list of resources! Thanks Kidlit 411! This is one awesome loot bag! I hope I get invited to your birthday party every year! Thank you for all that you do. The celebration just keeps getting better and better! Thanks for rounding up such great prizes. WOW! This is just beyond amazing! Thank you guys so much! Wow! This is the BEST birthday party ever! Your birthday presents are awesome -- thanks for being so generous and sharing your talents and gifts with us. This party is a winner! And so is the website. THank you for keeping me up-to-date. You all continue to delight! Oh My Gosh!!! Every prize is a winner! How did you guys manage to score so many awesome donors? Just sayin'...it's amazing. I've used Danielle Davis for her Fivrr $5 critiques and they are unbelievably helpful...I can't imagine how incredible a full critique from her would be! Thank you, Kidlit411...HAPPY BIRTHDAY TO YOU!!! Love those seasonally-appropriate penguins -- and the range Yvonne gets out of a bird that can often seem indistinguishable one to the next!! Wowsers! All the prizes rock!!! This is SO great, thank you all so much!! Thank you to everyone who donated a critique! This is so exciting! Best birthday ever! You guys are the best! I'm so excited for whoever wins! Oh my! There's MORE?! You guys rock. Oh, oh, oh pick me! Blown away by all the great prizes you are offering! This site and all the giveaways are a writer's dream. It's like Christmas in January. Thank you. I'm glad I discovered KIDLIT411 just in time for your amazing Birthday Bash! Wow - so much talent! Thanks again for the amazing prizes! So many great prizes! Kidlit411 is starting thing year off with a bang. Wow! You give away great presents at your birthday party! Cheers for KIDLIT411! Another amazing day of giveaways! Thanks! These are all such great opportunities! Love the critique group prize. Thank you KIDLIT 411! What wonderful prizes! The prizes just keep getting better! Happy birthday! These prizes are such wonderful opportunities. Thanks! WOW! Such incredible prizes! Thank you! This is incredible. Thank you so much for the opportunity. What generosity, indeed! Wow! What an amazing list of prizes! Thank you so much for providing all these resources. This is so generous of everyone who donated these incredible prizes. And thank you KidLit411 for organising!! Truly an incredible opportunity. Congrats Kidlit 411. I love critiques, so these prizes are awesome! Awesome, this is a fantastic prize for anyone at any level. Happy Birthday, KidLit411! Thanks for giving us the gift of community and resources. I'm particularly intrigued about Joyce Sweeney’s All Access Pass for 2016!! These look like great giveaways!!! Thanks Kidlit411!!! You guys rock the writing world. Hug hug hug! Love you, Elaine and Sylvia. MWAH! P.S. Thanks to the prize givers too. :-) Are those two words 'prize giver' real words?? Blown away by the amazing prizes. Happy Birthday. Keeping my fingers crossed, toi toi to. A-MAZING!!! Thank for the chance to win. Happy birthday and thank you for all the gifts! These are best birthday party goody bags ever! What a bash! Happy, happy, happy! I'm overwhelmed by the generosity of these prizes! Swooning over these prizes! What a party! Three happy birthdays in one week - what a bash! Thank you Kidlit411 & all of the amazing contributors. So exciting! Thanks for your support and generosity! Thank you Kidlit 411 for all these great opportunities! You rock! Amazing prizes again!!! Wow!!! Happy birthday!!!!! Wow, how generous, once again! Another amazing day of giveaways. Outstanding and so very generous! Thank you for your generosity. Another fantastic day of giveaways! The generosity just keeps coming! How wonderful that you are sharing these opportunities with your community! What a generous community to donate all these fabulous prizes! Thanks to all! Thank you for your generous giveaways! I feel like I've already "won" a prize by simply reading about all the wonderful offerings that are available to writers and illustrators. Happy Birthday, KidLit411! Yes, please. I love feedback. I'm putting my name in the hat. Amazing prizes from amazing people! Thank you so much for the opportunity! I love the way you've structured this giveaway after the writing process! happy birthday! this looks amazing! Happy birthday,and hopfully many more to come! Happy birthday, and thanks for the gifts! Wow What a wealth of writing information right here. Thanks for inviting me to your party. Happy brthday! Thank you so much for all these prize selections! Thanks for the opportunities! Great stuff for writers! Happy Birthday and thank you for such great opportunities! This is just too good to be true! It's better than Poweball! Happy Birthday, Kidlit411! I've taken several Joyce classes and found them very valuable! Would love an all-access pass! These offers of book, classes and critiques are so generous. Thanks!